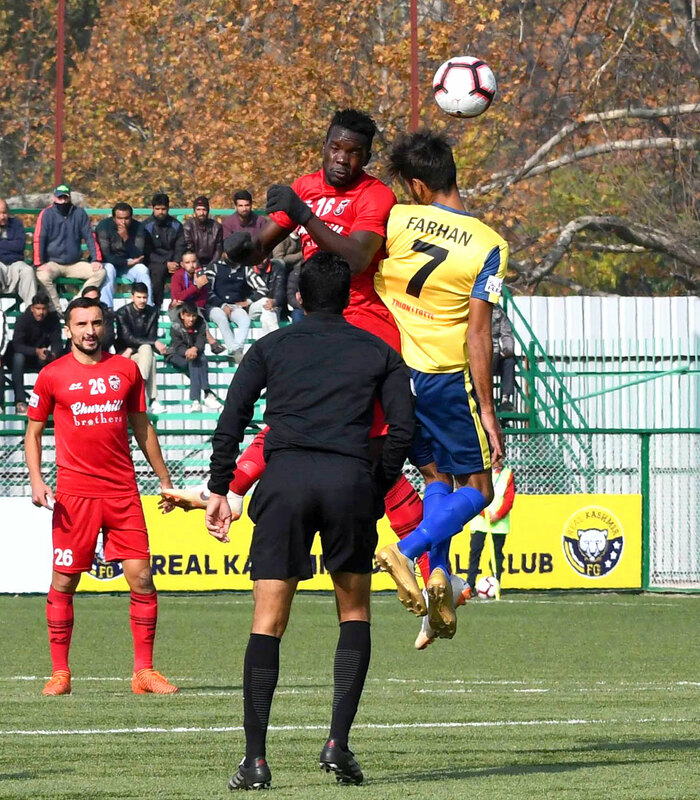 As I-League, India’s only professional football competition comes to Kashmir, certain things are taking place gradually and silently. 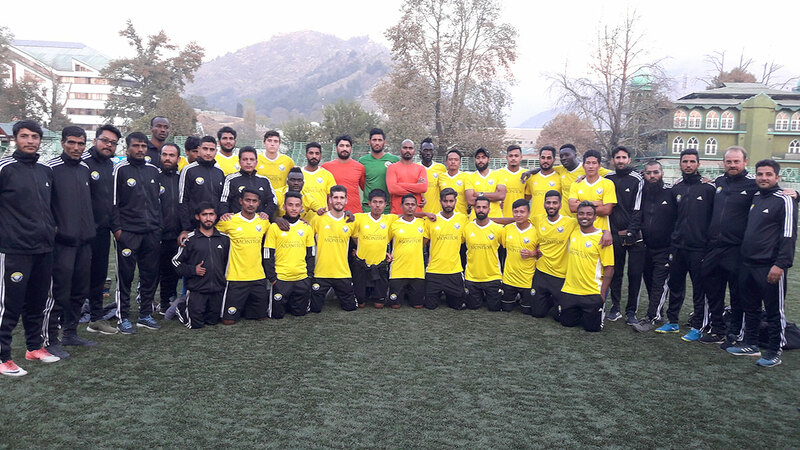 The credit goes to a journalist, Shamim Meraj, who set up Real Kashmir Football Club (FC) that was lucky enough to get an entry after emerging victorious in I-League’s second division, last season. Barring one Santosh Trophy, an inter-state competition, match and later a few exhibition matches in 2012, Kashmir has not witnessed any professional game in last many decades. The use of sports as a neutraliser of the situation by the governance structure has added politics to sports thus making it an untouchable area. But this situation has led Kashmir to a sort of deficit in understanding the processes and procedures that have evolved in professional sports across the globe. Team insiders said they are gradually evolving in a mature team because there were not many occasions that would teach us the etiquettes and the processes. “I am slightly nervous because the next match is with Mohan Bagan, one of the legendary teams from West Bengal that people here know a lot about,” Shamim said. “There will be more people and that is adding to our nervousness.” Spectators require a formal free pass to watch the game. A professional game adds to the economy. There are the cities across the world that has sports as the main basket. Hotels apart, they require transport, and almost all who come to Kashmir go with some kind of souvenirs. “This activity may not be a million dollars business but it is creating a narrative that is vital to the economy,” Shamim said. “When Star Sports telecasts these matches live from Srinagar, it automatically under-cuts the propaganda blitzkrieg that is dominating the TV news for many years now.” He said when a visiting team happily takes off, it gives him a satisfaction that he did something positive. Though the Delhi media has also been very pro-active in reporting the game, it is the political angle and the reportage’s linkage with the security situation that has the potential of the triggering a problem. “We are strictly working with the I-League and the connectivity with the local systems is to the level of facilitation. We are even willing to pay the rents of the Astroturf if it is required,” Shamim said. I-League funds every team for every match. All the teams that would fly to Srinagar will get Rs 5 lakh for every match. For home turf, though it is only Rs 1 lakh, but the teams spend beyond this I-League support. This essentially is the European concept which the German club, Borussia Dortmund has standardised to the extent that the township lives for football. “I have been to that city twice and there everything is linked to football,” Shamim said. “We will try to experiment with this.” The German team plays a weekend match with 82,000 attendance in the stadium. Currently, the Real Kashmir has 30 players on its rolls of which 15 are local, 10 are from the rest of India and five are foreigners. On the ground, however, there are three locals only. But those who are playing are interesting characters. Hamaad is another player. A resident of Batamaloo, he was basically following the passion of his father, cricket. One day he hoped to be part of a competition, Shamim said, but the managers replaced him at the last moment. “He was shocked, and in utter frustration, he rushed home only to set afire his cricketing kit and joined football. Now see him where he is,” Shamim said. Right now, however, the Real Kashmir managers are not bothered much about the expansion or the upgrade of the FC. “The response, we got is phenomenal and humbling,” Shamim said. “We just want Kashmir understands that our total experience in the game and its management is only of two years. We were only lucky to win a few games. We can lose also, and with our defeat, our people should not lose heart.” The system in vogue is that Real Kashmir will have to put in more efforts to ensure they do not fall in the bottom of the scoreboard once the season concludes with a new champion. The lower any team scores, the chances of their demotion gets close. But it is too early. They have still 17 games in hand.